Who are you, and what are you doing in my grass? 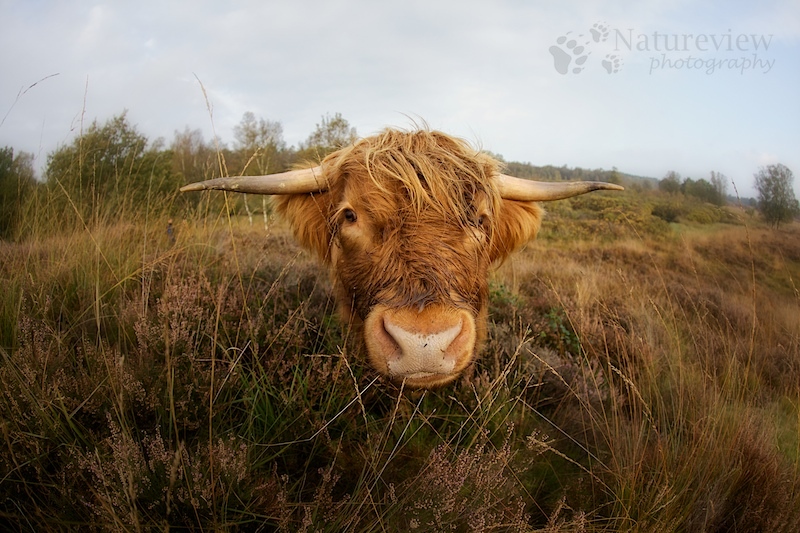 That’s what this Highland Cow seems to think. They can be really curious animals and with a little bit patience (not even that much) you can get nice and close. With the fish-eye I could get the focus on the cow, but still show some of the landscape behind him. Great shot of that beautiful creature.